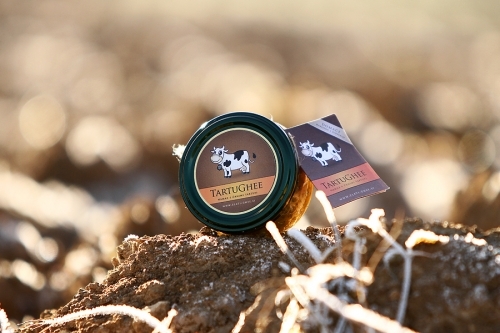 TartuGhee spread is made with Golden Ghee and fresh rich truffle paste with black truffles; enriched with Himalayan salt, red pepper and turmeric. 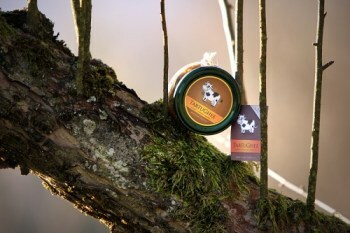 Its strong taste of trees and earth will awaken your primal energy. 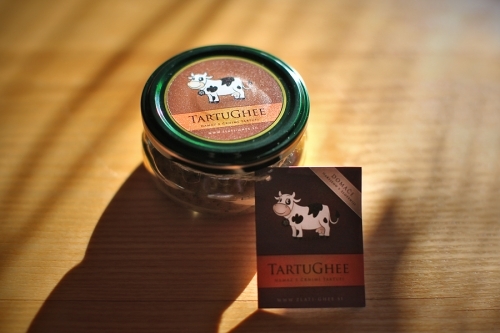 TartuGhee spread combines many high-quality information into an exquisite taste. 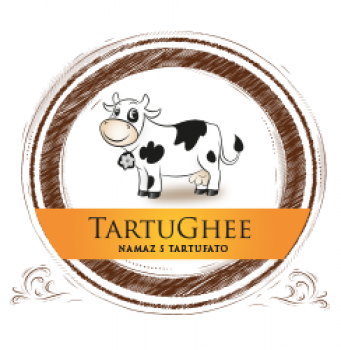 Truffles, the food of the Gods, and Ghee, culinary gold and one of the best oils on Earth, are combined in TartuGhee to bring you an exquisite culinary experience. Golden Ghee (butter) is created by slowly cooking the delicious butter on open fire, thus enriching it and turning it into an all-purpose oil that never goes rancid. The science of Ayurveda has been honouring Ghee for centuries due to its applicability and wide range of use. Many believe it is the foundation of good quality nutrition. Golden Ghee combines the essences of nature; enriched with truffles, it creates a flavour that, according to the renowned gastronome Savarin, softens the ladies and gives vigour to the gentlemen. Ghee sharpens and forms the taste, and increases the absorption and extraction of medicinal and nutritional properties of flowers, herbs, and fruits that are mixed into it. With the Black Truffle from Istria, it makes a great combination that will lift your spirit and stimulate your body. 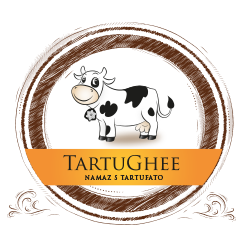 TartuGhee spread is tasty; it spreads easily, and is made of natural ingredients. 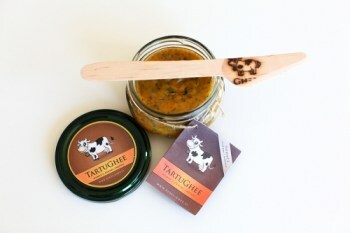 It can be used independently, on a piece of bread, or as an excellent addition to sandwiches, sauces, pastas and other dishes when you are after even more of that primal taste. Melted butter Golden Ghee (73 %), rich truffle paste (28 %), ground red pepper (1%), Himalayan salt (1%), turmeric. Store between 5 and 13 °C. After opening, keep refrigerated and use within a couple of days. Net weight: 80 g / 120 ml.